It is no surprise to anyone how strong the Axis factions are towards their counterparts. It is like if the game developers were simply Axis lovers, starting with Veterancy, Axis units get better combat effectiveness since their first level up, in contrast to the useless "buffs" their enemies get on V1. Soviets as the best example. Giving the Axis an advantage on infantry confrontation. -Tanks (really) these are the best option for "I'm getting wrecked 90% of the game 80 to 450- and then suddenly I get almost unkillable and unskilled tanks to change the game entirely for the past 50 minutes. Unreasonable. -Not great anti-tank units especially the Soviets armor pen. (WTF) and requires you to get close to them in the case of infantry. -You have to totally dominate the map since the start of the game or they will rush overpowered tanks giving you no chance of making a comeback "Something highly more in Axis favor when losing"
-Even when you invest all your effort on barely making mistakes, the game will allow the Axis to have a high chance on making a comeback, something that rarely happens for the Allies; Check surrender stats on the database. As a player who has been playing a lot of strategy games among some other categories, I must grant Company of Heroes 2 the award for the most unbalanced game on present time, and for what I've read on numerous forums from different wéb pages, it has been like this for years. Patch notes: So through the years they seemed to have nerfed some allied units and buffed some axis units and vice-versa, however, they don't seem to have a track of all of these. As for example, the T-70 mg damage got nerfed years ago, but some enemy infantry units got buffed! so it sank the chance of fighting back fairly, among some other details I've noticed from reading patches notes deeply. Lastly, to close my point I've been playing this game daily for 2 months because I totally fell in love with it, however, is unreal how error permissive it is with one side, then the other. Axis player losing: Your faction is very bad . . . Nope, we just have more squishy time-consuming tanks and infantry that require skill to kill something entirely. I certainly agree with you patrol. My brother and I both have over 500 hours of game play into this game and we are pretty convinced that the people in charge of balancing are Nazi sympathizers. When you match up a German unit to the equivalent allied unit the German units are usually superior. A grenadier will beat a rifleman or conscript at long range despite being cheaper. The Panzerwerfer deals suppression on rocket launch, which no other faction does. By the way, why don't the Americans have a sniper or the Sherman calliope (without a commander)? the had them in the first one. Abilities are the worst in my opinion. The German bombing runs and artillery strikes have a very quick casting time, compared to the allies very slow casting time. The US and Ru have almost no artillery abilities in general, despite the US forces are well known for their artillery and naval bombardments. You point out a very good observation in your comment too, that the Germans can come back from a 400 VP deficit. I have watched many professional or top 100 player games, and the Germans can come back from big deficits while the allies cannot. Which shows that the Germans can reach a point where the allies cannot. I think that the perfect example of how OP the Germans are is a game my brother and I played the other day. We always play allies because we are true born Americans and everyone knows that one of the great american pass times is punching Nazis. But this time we played the Germans (me OKW and my brother WEH) we had played them like 3 times before, and didn't have any kind of build order, we just built the things we usually went up against as allies, my APM was probably 25% of what it is when I play allies. We had no idea what we were doing but ANNIHILATED THEM, it was 495 to 0. If an player can pick up a faction they have never played, with a totally different dynamic, and beat someone that hard then the game is broken. Thanks for taking the time to reply to my post. Indeed, if you set an only A.I game the Axis will once again come on top winning, no matter how many times you try, in order to get different outcomes. Meaning that there is something wrong going on. Axis factions simply have highly buffed units all around their army, T1 basic units wrecking light to medium tanks with only 2 squads is absurd (4 very long range and high burst Sturmpioneer Squads to take down your IS-152 Heavy tank Lmao). Everyone is just spamming Sturmpioneer Squads during the entire length of the game and having outstanding performance. However, there have been outstanding games as an SU player where I destroy his T4 building. Axis AT guns do less damage BUT once again ...... Allies medium tanks have low armor so they get destroyed quite fast. Mgs are my favorite part as they do instant suppression with an arc that covers a lot of territory. I still have yet to confirm if the Axis MG switches between targets after suppressing one unit without giving any manual commands. The Schwerer Panzer Headquarters T4 should be restricted outside of Victory Points territory or special points such as Ammo or Fuel depots. In order to balance things out. Now to mention an example of Veterancy T-70 Vet1 should be removed as it is totally useless compared to Axis tanks, and just give it a better burst against heavy armor or better armor as it levels up. Now, I know that the Axis had a well-trained army with more efficient armament during WWII, but this game shouldn't go as far as creating a big advantage against the entire enemy factions. It should be balanced after all. 1) Restricting the outside of special points territory. This will stop players from spamming it next to Victory Points, Fuel depots or even Ammo depots. 3) Decreasing the Axis MG's suppression rate, so it will be just like allies MG's. Requiring two full rounds of fire to suppress infantry units. 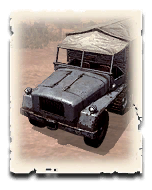 4) Increasing the chance of getting hit by 2% for Sturmpioneer Squad, since they are like mini tanks roaming around the map. Shock troops from the Soviet Union are the ones capable of 1v1 them, so you get the point. 5) Decreasing the chance of deflecting AT bullets on both medium and heavy tanks. Since you tend to deflect a lot of incoming damage (not to mention the over the top armor that they have). In my personal opinion point, one and two are the most unfair or unbalanced facts in present time. Hopefully, the game gets more balanced since it has a lot of potential to become an important game on the E-Sport industry -even after years of its release date-. > I certainly agree with you patrol. My brother and I both have over 500 hours of game play into this game and we are pretty convinced that the people in charge of balancing are Nazi sympathizers. When you match up a German unit to the equivalent allied unit the German units are usually superior. > A grenadier will beat a rifleman or conscript at long range despite being cheaper. > The Panzerwerfer deals suppression on rocket launch, which no other faction does. > By the way, why don't the Americans have a sniper or the Sherman calliope (without a commander)? the had them in the first one. > Abilities are the worst in my opinion. > The German bombing runs and artillery strikes have a very quick casting time, compared to the allies very slow casting time. > The US and Ru have almost no artillery abilities in general, despite the US forces are well known for their artillery and naval bombardments. > You point out a very good observation in your comment too, that the Germans can come back from a 400 VP deficit. I have watched many professional or top 100 player games, and the Germans can come back from big deficits while the allies cannot. Which shows that the Germans can reach a point where the allies cannot. > I think that the perfect example of how OP the Germans are is a game my brother and I played the other day. We always play allies because we are true born Americans and everyone knows that one of the great american pass times is punching Nazis. But this time we played the Germans (me OKW and my brother WEH) we had played them like 3 times before, and didn't have any kind of build order, we just built the things we usually went up against as allies, my APM was probably 25% of what it is when I play allies. We had no idea what we were doing but ANNIHILATED THEM, it was 495 to 0. > If an player can pick up a faction they have never played, with a totally different dynamic, and beat someone that hard then the game is broken. I cannot disagree axis just have alot of stock units and great abilities to augment but allies lack and need commanders. P47 rockets for Instance got nerfed but only hit armor. Stuka close support hits both. sector assault hits both and tends to wipe all 4 players armies if your so unlucky to be fighting over a star end ing game especially since they track targets yet armor companies massive shells ability are rng to all hell and had also been nerfed to hell even with buff it's not like they track targets inside the circle or encompass an entire sector for that matter. Calliope nerfed to hell never looked at again. Axis favoritism definitely seen here. On the positive note infintry combat has gotten better and they have their unique advantages.